In December 2018, our school received an emergency inspection from Her Majesty Inspector Catherine Crooks where it was recognised that the school is taking appropriate measures to address areas of the independent school standards that were not met in the June 2018 inspections. The overall outcome from that inspection is that the school met all the independent school standards that were checked on that day. In June 2018, our school received a three days standard inspection from Ofsted and the team was pleased with the school’s quality of teaching learning and assessment and with outcomes for pupils. These two areas were judged as good. The team also found that not all Independent School Standards were met because the proprietor and leaders have not complied with the Regulatory Reform (Fire Safety) Order 2005. This led to an overall judgement of inadequate. The targets set for pupils are challenging and ambitious. Pupils know their targets and what they need to do to improve. Progress for the vast majority is good. Leaders are aspirational for all pupils. They have a clear understanding of their pupils learning needs. Leaders have an accurate view of the quality of teaching learning and assessment. Together with the proprietor and board of directors, leaders have created a unique vision across all school sites. Leaders have developed a broad and balanced curriculum. They are responsive to pupils’ individual needs and ensure that pupils have access to a range of academic and vocational qualifications. Leaders provide rich opportunities for pupils to develop spiritually, morally, socially and culturally. Pupils know what is expected of them. Their good conduct in lessons and during unstructured time of the day reflects reflects the high expectations of the school. The school is an orderly environment. The 16 to 19 study programme meets the range of students’ needs. The curriculum is carefully planned and consists of relevant academic and vocational routes. Teaching in the sixth form is highly personalised. Teachers know students well. They use prior information to plan and provide learning to meet students’ individual needs and future aspirations. Since then the school has submitted an action plan to Ofsted under section 114 of the Education Skills Act 2008 and is awaiting a monitoring visit from Ofsted. On Thursday 2nd February the school received a surprise visit from Her Majesty’s Inspectors (HMI). The Inspection team comprised of, Peter Humphries, lead inspector and Susan Morris-King. Both inspectors were duly impressed after visiting all five school sites. The overall outcome was that, ‘The school met all of the independent school standards that were checked during the inspection’. The inspectors went on to say, “The arrangements to safeguard and promote the welfare, health and safety of pupils at the school are detailed and thorough”. This is a massive endorsement from Ofsted which underlines the tremendous work all the staff at Spring Hill High School put in, in order to keep our students safe. Our school was last inspected by Ofsted in February 2015. We were delighted that the inspection team found that Spring Hill High School is a good school in all areas. Leaders monitor teaching and learning effectively, and ensure that they meet all the independent school regulations. To register and give your views, please click here. Should you require any assistance, please do not hesitate to contact us. Ofsted's Parent View gives you the chance to tell Ofsted what you think of Spring Hill High school. 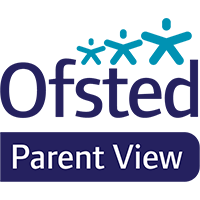 Each year, we conduct our own Parent Survey, however by sharing your views with Ofsted, you will be helping our school to celebrate it's successes and further improve. A video on how to register and complete a survey on Parent View is available by clicking here. Our school had a Quality Assurance visit from the Warwickshire Local Authority on the 7th March 2017. The team was comprised of Eileen Kell, lead Educational Psychologist for Warwickshire and Hayley McDonagh, Head of School Improvement team for Warwickshire. They visited our Slade Road site where they checked that the school environment was appropriate. They checked policies and procedures, observed lessons, spoke with senior leaders and spent time with the children who are from Warwickshire. We are very proud to say that they were glowing in their praises about the standards and expectations that the school sets on students' safety and wellbeing as well as other core areas. They were also very impressed with the atmosphere of the school, commenting on how the students and staff interacted with each other and how relaxed and comfortable everyone appeared to be.